I opened the countertop-height makeup mirror in my bathroom which was directly in front of my brand-new postpartum stomach. There I saw a very large and startling scar (c-section), stretch marks that only appeared after Hazel was out of my tummy, and a completely different abdomen than what was there before. It was both shocking and horrifying. Something kicked in. This inner voice. This voice of reason and gentleness. 2. To give myself tremendous amounts of GRACE for the body that just birthed my new favorite tiny little human. Although there was a lot of noise in my head during those minutes, I knew I would choose Option Two. Despite the stretch marks, despite the changes, I wanted to LOVE MY BODY. For more ways yet to be discovered. I knew THIS BODY was my only body and THIS LIFE was my only life. I wanted to embrace both, and I wanted to shower myself with love. And that’s just what I did. I let go of the guilt and fell into GRACE. And ya know what? I lost weight more easily than I ever had. I didn't beat myself up. I didn’t obsess over every bite. My body knew naturally what it needed and for the FIRST TIME (maybe ever), I LISTENED TO WHAT IT WAS SAYING. So please, take this moment to get on the waitlist so you will not miss the opportunity to sign up! For only three designated days next week, only Mamas who are on the waitlist will be able to join and view the membership class. Try to avoid carbs at dinner time. This doesn’t mean we never eat them. Carbs are not strictly forbidden. However, by skipping the carbs at dinner time, you will avoid the sugars, breads, and other foods that cause weight gain while you sleep. This is a place where SO many of us sabotage our weight loss efforts. Perhaps we have eaten well over the course of a day, but all hell breaks loose when we put the kids to bed and bust out the chocolate. We can consume several hundred calories without even being aware of it. No fun! Eat as many veggies as possible. We all KNOW to eat them, but the fact is, we are probably not doing so. Most often, we reach for a chip instead of a crunchy veggie. So buy a few veggies you actually like, cut them up so they are ready to grab, and the next time you reach for something, start with the veggies FIRST. If you are still hungry after a nice big serving of veggies, then by all means, have another snack. But START with veggies. We over complicate our exercise goals, thinking that if we don’t go to the gym for a full hour, it doesn’t count. But you can have a dance party with your kids, take a walk, take the stairs. It adds up!! I’m a firm believer in what I call “habit stacking.” It’s how you make just ONE small adjustment at a time, allowing yourself to progress slowly, and you will find the change actually sticks! Modifying all your habits at once is a recipe for disaster. I LOVE THE SIMPLE ROUTE! 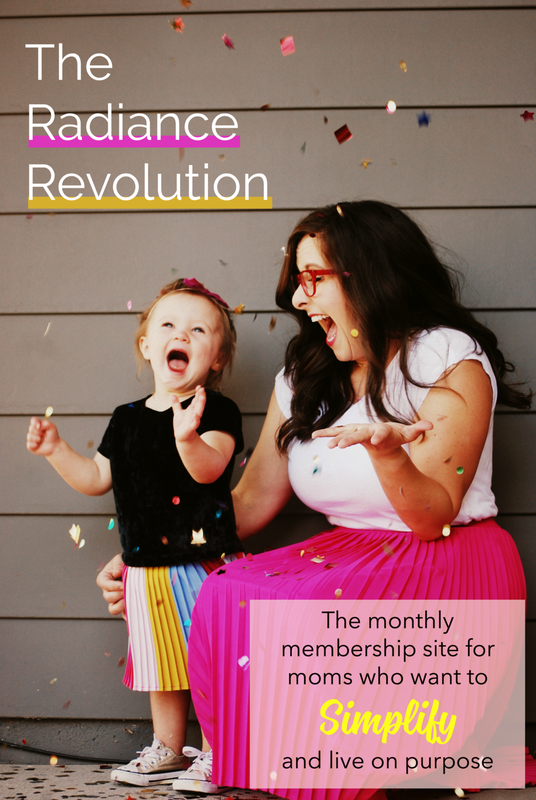 Next month's topic in the Radiance Revolution is all about the #MOMBOD basics: self-love and sustainable, healthy habits for Moms. 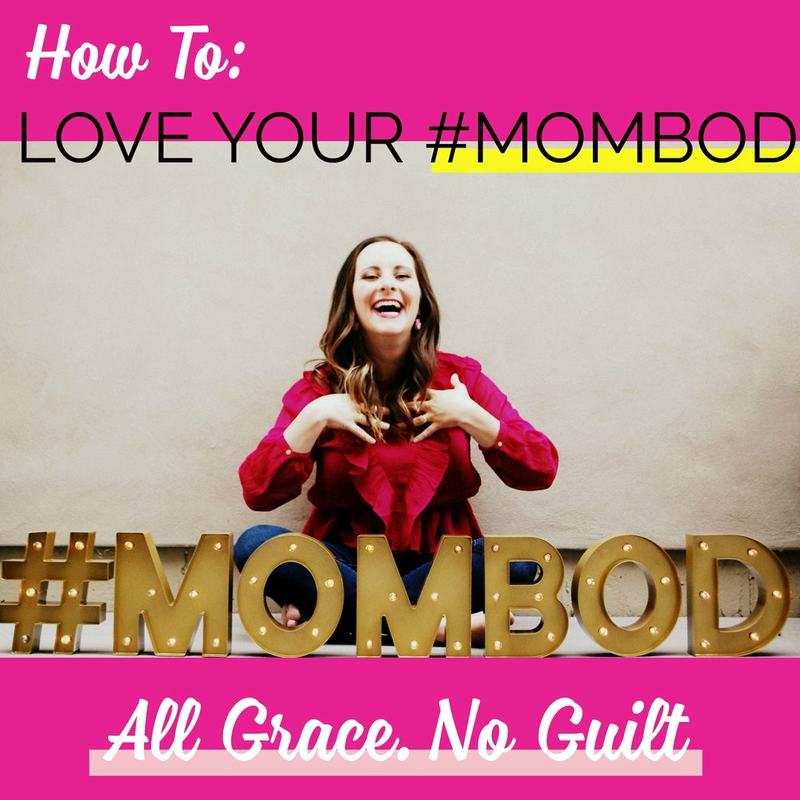 Now when I say #MOMBOD, I mean the most healthy, glowing, vibrant, and trim version of your postpartum body. Minus all the guilt and loaded with grace!! Make sure you sign up below to get added to the waitlist. That way you will get the special invite only chance to join (I’m not opening up the doors again until late Spring) and get the full #MOMBOD class! 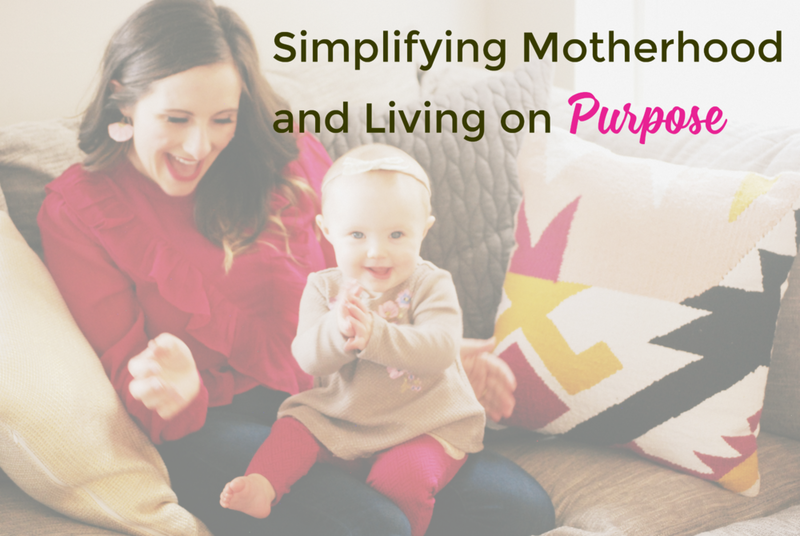 I help moms clear clutter in their homes and hearts so they can focus on what matters. Need more ideas, recipes and inspiration? Head on over to the blog to see!